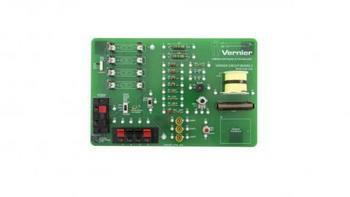 Vernier Software & Technology of Beaverton, Ore., is recalling about 4,200 Vernier Circuit Board 2 ( VCB2). Two switches on the VCB2 can get stuck between positions causing them to short out and overheat. If the switches overheat, the metal case of the switch can become hot, posing a burn hazard. This recall only involves the green-colored Vernier Circuit Board 2 that is 10 inches wide by 6.5 inches high, and is used to teach students about the fundamentals of electrical circuits. The Vernier name, logo, product name (Vernier Circuit Board 2) and order code (VCB2) are printed in the upper right corner of the product. Recalled units were shipped between August 2015 through April 10, 2018 represented with the different revision mark codes of ‘VCB2 REV 1 PPRL 2015’ and ‘VCB2 REV 1A PPRL 2015’ printed below the pins 35, 30, and 31 on the lower section of the product. The circuit boards, manufactured in the U.S., were sold online directly to customers by Vernier Software & Technology, by phone, catalog and dealers from August 2015, through April 2018, for about $130. Consumers may contact Vernier Software & Technology toll-free at 888-837-6437 from 7 a.m. to 5 p.m. (PT) Monday through Thursday, 7 a.m. to 3:00 p.m. (PT) Friday, by email at info@vernier.com or online at http://www.vernier.com and click on Vernier Circuit Board 2 Safety Recall Information banner for more information.